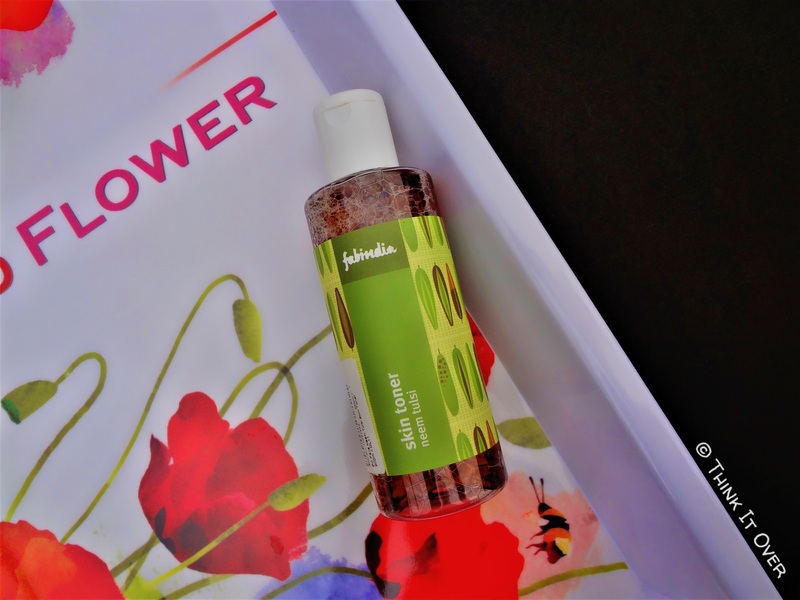 Description: Made with neem extract and tulsi oil, this alcohol free, anti - septic and anti – bacterial skin toner deep cleanses the skin by removing impurities and dirt. Ideal for oily skin. Ingredients: Purified Water, Neem Leaves Extraxt, Reetha Extract, Rose Water, Aloe Vera Extract, Hydroxyethyl Urea, Glycerine, Polysorbate 20, Phenoxyethnol, Imid Urea, Cocoamidopropyl Betaine, Allatoin, Tulsi Oil. Directions for use: After washing your face and neck, spray the skin toner onto a cotton swab & gently stroke in an upward direction. Avoid contact with eyes. Packaging: This toner comes in a simple transparent cylindrical bottle with a white flip open lid. The content is easily visible from outside to mark off as to how much of the product has been emptied. 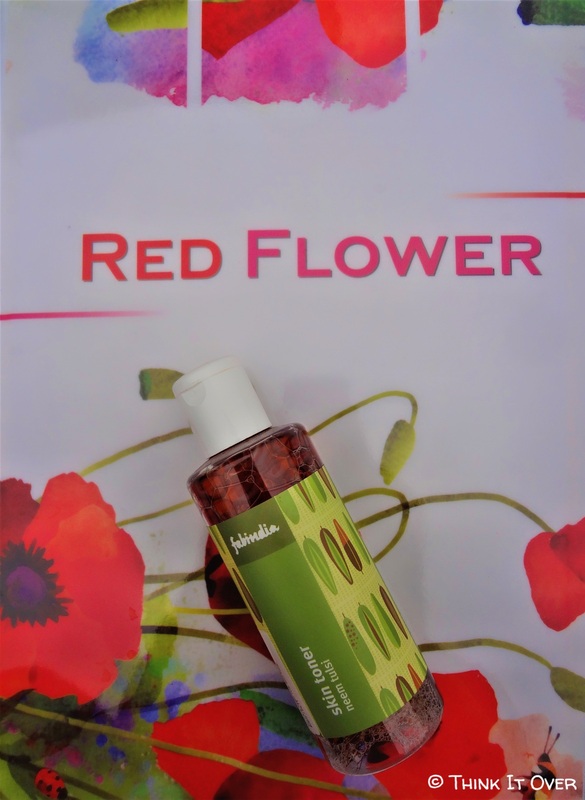 The label around the bottle is color – coded in green and has some leaves made onto it; perhaps emphasizing the fact that it consists of various (not all) natural ingredients. The toner is of orangish - brown color which appears like the Dettol solution that is meant for diluting in the water. Fragrance of this, I fail to detect resemblance with anything I’ve taken a whiff of before. All that I can say is, I like it and it stays for some time long, even after the toner seeps into the skin. For application, you’d need approximately 5 drops of the toner and it cleanses up the residue of any kind of makeup traces left behind. The formulation is really light weight and it dries up within few seconds. A small amount of hydration is felt but it does not heavily moisturize the face. Since it contains Neem leaves extract, it works as an anti – bacterial solution and keeps at bay skin’s impurities such as acne/pimple. I saw no new pimples emerging out. Lastly, my skin is super sensitive and not a lot of skincare products work for me. Thankfully, it showcased no adverse effects.
. Hydrates the skin without turning it oily.
. Works as shield against skin’s impurities. Final Verdict: For those with acne prone, oily and sensitive skin type; this will turn into their HG toner!